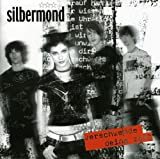 Silbermond is a German alternative rock band consisting of Stefanie Kloß (vocals), Thomas Stolle (guitar), Johannes Stolle (bass), Andreas Nowak (drums) that formed in 2000. After several smaller gigs, their 2004 debut album "Verschwende deine Zeit" became a surprise success in Germany . Since then, each of their albums had moderate to very good success, all of them being certified Gold or Platinum in Germany . Their debut album and their third album "Nichts passiert" are their most successful ones, each of them having sold more than 750 . 000 units . Among their best known songs are "Zeit für Optimisten", "Irgendwas bleibt" and "Symphonie" . In the beginning, Silbermond's musical style was energetic alternative rock that often had cynical or cheeky lyrics, often tackling consumerism and the mainstream pop culture . However, over the years, their style changed to slower and more introvert indie pop with more personal and poetic lyrics . All of the band's songs are sung in German . Silbermond is sometimes compared to Juli and Wir sind Helden, all of them being female fronted German language bands that had their biggest successes in the mid-2000s .